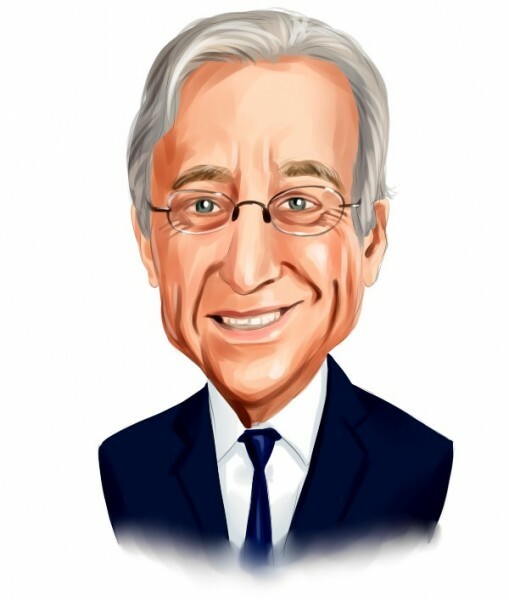 Trian Fund Management, which was founded in 2005 by billionaire Nelson Peltz, is today a multi-billion dollar investment management firm and of the 140 Biggest and Most Famous Activist Hedge Funds in the world. Trian invests in high quality but undervalued companies and works collaboratively with their management teams to execute operational and strategic initiatives designed to drive long-term sustainable earnings growth. Trian Fund Management, which is known for making large investments in a limited number of companies, focuses mainly on consumer companies, industrial firms, and financial companies. That philosophy is evident from the fund’s latest 13F filing, which shows long positions in just eight stocks, while its 13F portfolio was valued at $11 billion at the end of 2016. During the fourth quarter, Trian increased its stake in three of its positions and likewise trimmed the size of three other positions. In this article, we’ll analyze some of Trian’s top holdings and see how it traded them during the final quarter of 2016. Trian Fund Management increased its stake in SYSCO Corporation (NYSE:SYY) by 6,658 shares during the fourth quarter, hiking its position to 43.97 million shares worth $2.4 billion at the end of December. The position ranks as the fund’s largest and gives Trian an 8% ownership stake in the company. SYSCO Corporation’s (NYSE:SYY) stock has cheered investors by returning more than 80% over the last five years, outperforming the Dow Jones. The company also increased its dividend by 6% in November. The food distribution company has benefited greatly from the acquisition of UK-based Brakes Group last summer, which helped it increase its international footprint. Subsequently, SYSCO’s international sales more than doubled during its fiscal 2017 second quarter, to $2.63 billion. The number of funds in our system with SYSCO Corporation (NYSE:SYY) in their portfolios inched up by two to 35 during the October-December period. Donald Yacktman‘s Yacktman Asset Management reduced its holding of SYSCO by 21% to 11.27 million shares during the period. Nelson Peltz’s firm sold 5.21 million shares of General Electric Company (NYSE:GE) in the fourth quarter, ending the quarter with a 67.42 million-share stake worth $2.1 billion. On the contrary, Steve Cohen‘s Point72 Asset Management initiated a new position in General Electric (NYSE:GE), buying 1.41 million shares during the fourth quarter. General Electric Company (NYSE:GE) announced its intention to merge its oil and gas business with Baker Hughes Incorporated (NYSE:BHI) last October. The merged entity would be the second-largest player in the oilfield services industry in terms of revenue. During the December quarter, the company reported adjusted earnings of $0.46 on revenue of $33.1 billion, the latter figure missing the consensus mark of $33.6 billion due to slowing growth for oil and gas businesses. In 2017, the company expects earnings to be within the range of $1.60 to $1.70 per share, with 3% to 5% organic growth. GE shares worth $5.16 billion were held by 54 hedge funds that we track as of the end of December, compared to $5.08 billion in shares held by 55 funds a quarter earlier. On the next page, we’ll check out three of Trian’s other positions and how the fund positioned itself in them heading into 2017.